The board of the International Association of Ports and Harbors (IAPH) has recently announced the allocation of a budget fund of USD 10,000 to develop a Women in Ports Mentoring Program designed to attract, empower and retain female talent in the industry. The initiative builds on the activities of the IAPH Women's Forum which has been actively sponsoring professional development of member female port professionals through its Biennial Training Scholarship and Annual Meeting Scholarship for a number of years. "The Women in Ports Mentoring Program sets out to empower high-potential women port professionals by linking them to both female and male expert mentors to expand their knowledge base and prepare them to take up operational roles in the Smart Ports of the future." She adds : "Smart shipping and digitisation is set to change the face of port operations. Autonomous vessel operation will require completely different skillsets as well as mindsets. 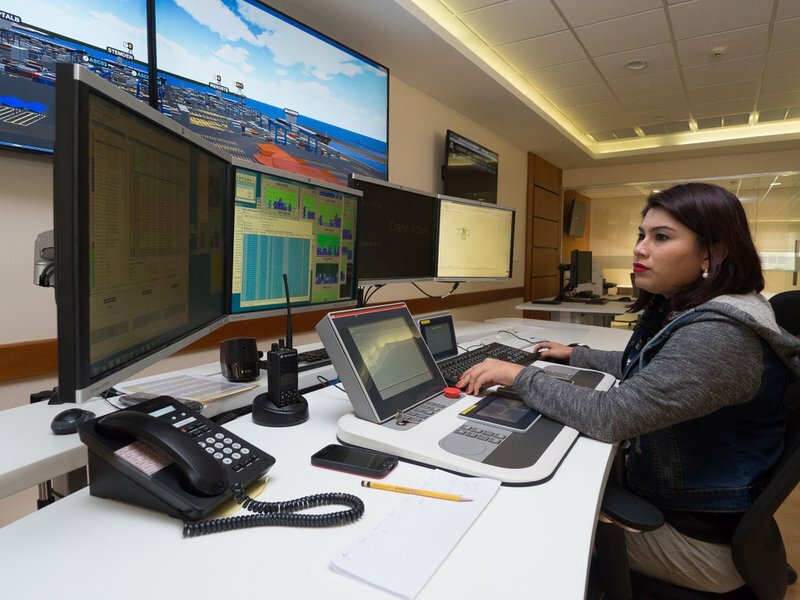 Women port operators such as those remotely managing harbour cargo handling equipment in Panama have already demonstrated that women have an important contribution to make to the ports of the future." "We will connect these women to experts using the Mentorloop application. This solution is based on matching professionals in terms of skillset demand and supply, and then facilitating whatever best communication medium to fit both mentor and mentee. It has been proven as a cost-effective and efficient tool for business corporations, governments and in education. It means we can use our limited resource to potentially benefit a broad spectrum of women port professionals instead of just a few and without geographical or functional boundaries. That said we want to focus on women who work in port operations, where we believe they can make the difference in the future." The nine-month pilot will be run as of May this year and will be launched at the IAPH Guangzhou 2019 World Ports Conference. The Women in Ports Mentoring Program is also being presented by the Chair of the Women's Forum Siti Noraishah Azizan at the upcoming World Maritime University Women's Conference in Malmo, Sweden. Siti is the General Manager of Sabah Ports in Malaysia. Her colleague and Vice Chair Jeanine Drummond will showcase the Program at an upcoming special event held at the IMO FAL 43rd Session in London. IAPH Managing Director Patrick Verhoeven commented : "This year the IMO celebrates World Maritime Day in September with the theme Empowering Women in the Maritime Community. 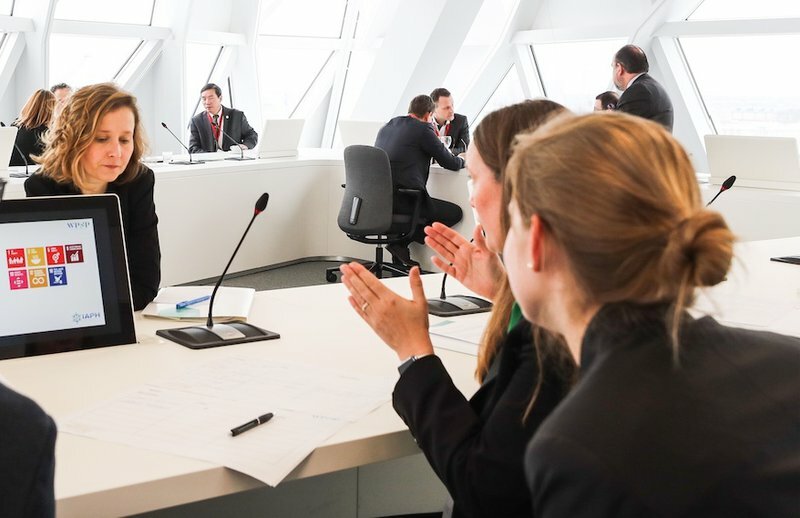 As a partner initiative of the World Ports Sustainability Program, the IAPH Women's Forum will put that theme into practice with their Mentoring Program, providing education opportunities for women professionals from all IAPH port members in all disciplines. " Founded in 1955, the International Association of Ports and Harbors (IAPH) is a non-profit-making global alliance of 170 ports and 140 port-related organisations covering 90 countries. Its member ports handle more than 60 percent of global maritime trade and around 80 percent of world container traffic. IAPH has consultative NGO status with several United Nations agencies. In 2018, IAPH established the World Ports Sustainability Program (WPSP). Guided by the 17 UN Sustainable Development Goals, it aims to unite sustainability efforts of ports worldwide, encouraging international cooperation between all partners involved in the maritime supply chain. WPSP (sustainableworldports.org) covers five main areas of collaboration: energy transition, resilient infrastructure, safety and security, community outreach and governance.